This is a sponsored post in partnership with ALDI. One of my absolute favorite memories from living with my host family in Costa Rica back in high school — and then visiting them again this past summer — was waking up each morning to the sound of a whirring blender making a fresh fruit refresco. 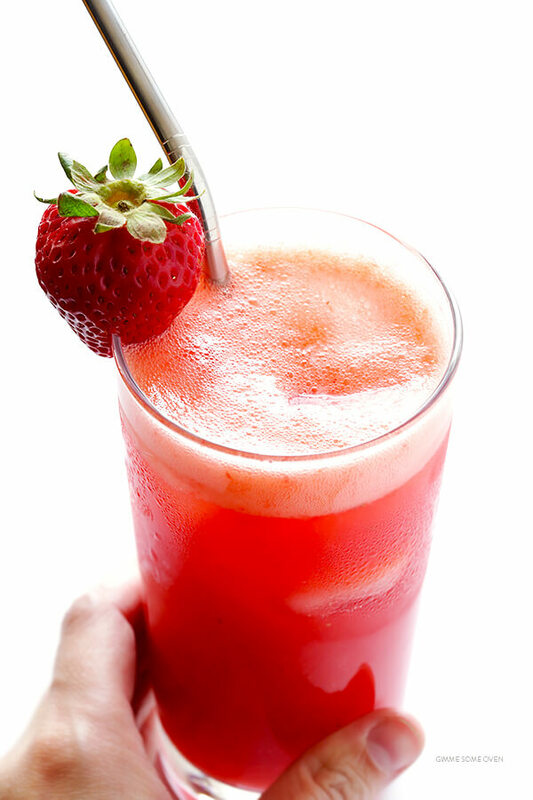 Or, as this drink is called in Mexico and many other Latin-American countries, agua fresca. 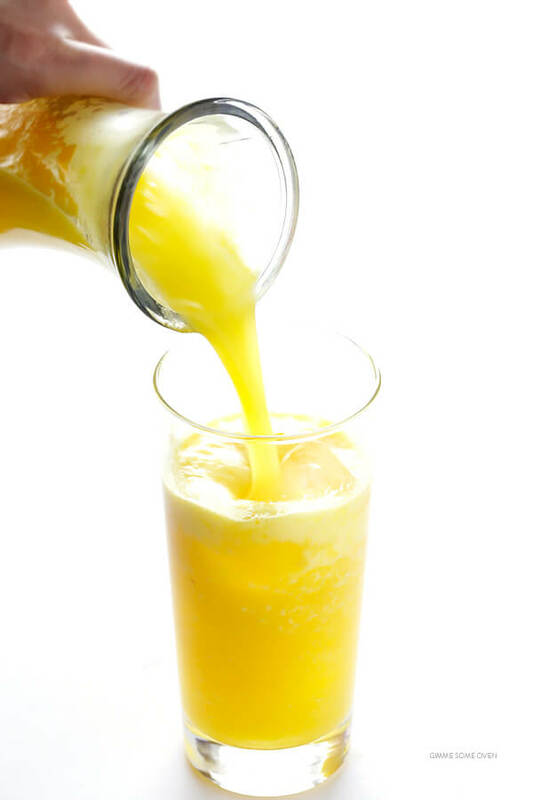 Every day, there was always a new juice. 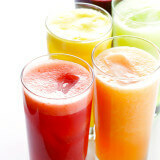 And every day, those fresh-fruit juices always felt like such a sweet treat. So ever since then, I’ve loved using any fresh fruit I have in the house to blend up refrescos (aguas frescas) of my own. They are the perfect way to use up leftover fruit, they take literally just a minute to make, and they always add a deliciously sweet note — along with some sweet memories — to any meal. Granted, I now make mine with natural sweeteners, instead of the heaps of granulated sugar that are traditionally used in most Latin American countries. But they’re still plenty sweet, and still just as delicious. 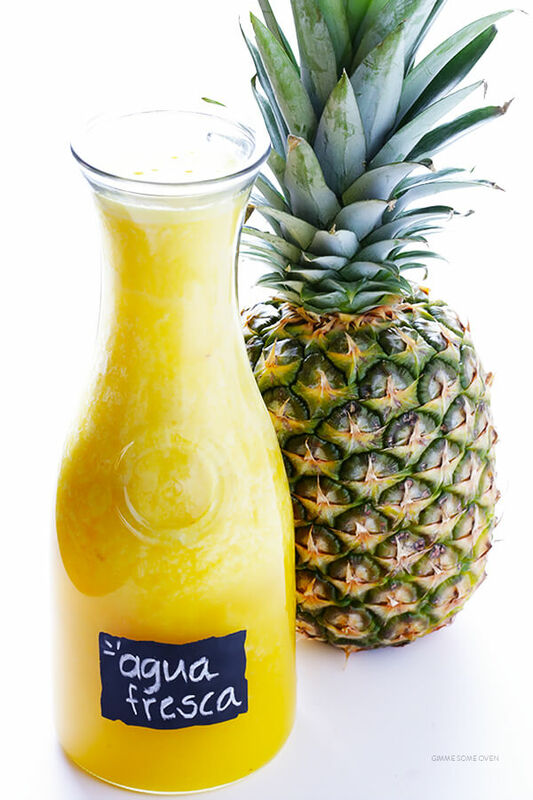 So if you’ve never made agua fresca before, I’d love to show you how! 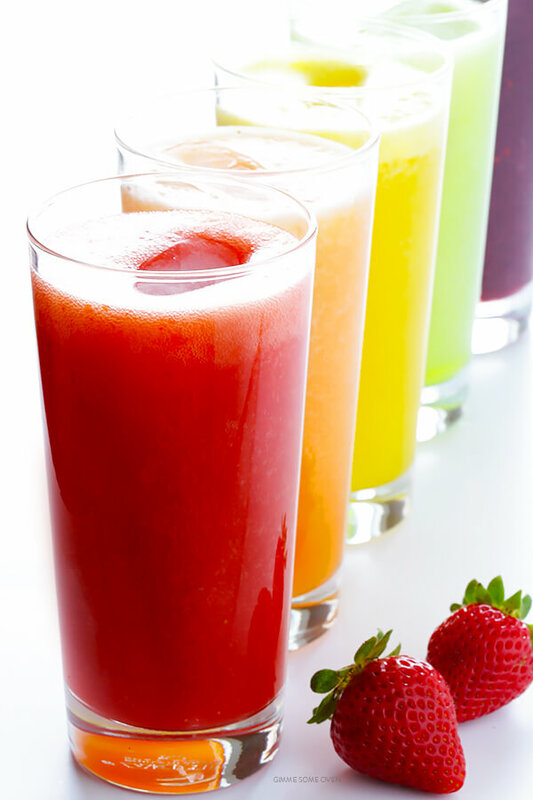 The beauty of aguas frescas is that you can make them with literally just about any fresh fruit. In general, I recommend going for the juicy ones, like citrus, berries, melons, stone fruit, etc. But just about any fruit that you can blend up will do. I went with some strawberries, cantaloupe, pineapple, honeydew, and blackberries from ALDI for this tutorial, which I always love. …then add in some agave, honey, maple syrup, or any sweetener that you’d like. (<– Actually, many fruits don’t need extra sweetener. So I recommend blending up the agua fresca and giving it a taste, and then adding extra sweetener if needed.) I always keep extra bottles of SimplyNature Organic Light Agave Nectar from ALDI stocked in my pantry to make these…and maybe my famous margaritas. So good! In Mexico, it’s also traditional to add in a good squeeze of lime juice to give it an extra-zesty kick, which I love. 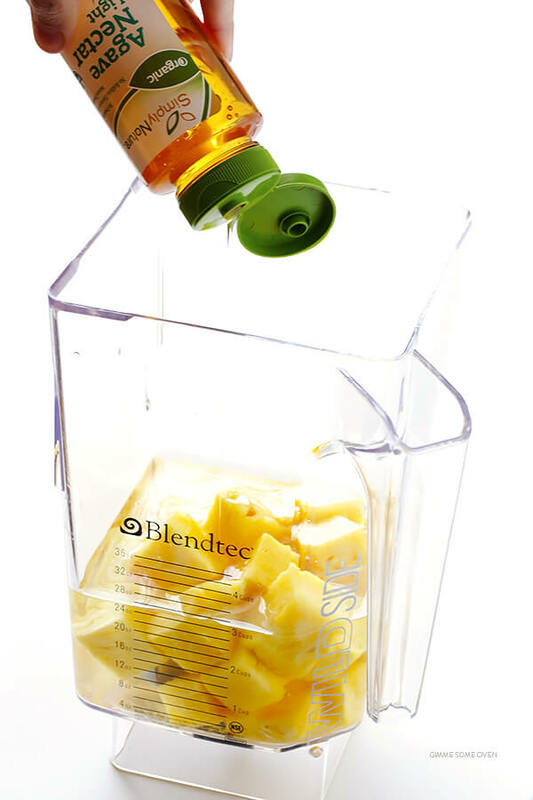 Then blend everything up until it’s completely smooth and free of chunks. At this point, you can either strain out the agua fresca through a fine-mesh strainer to remove the pulp and have a nice smooth juice. Or — as I like to do — you can leave the pulp (and all of that good fiber) in there, and serve the juice up with that extra pulp-y froth on top. Up to you. Learn how to make traditional agua fresca drinks with this easy and delicious recipe that’s naturally sweetened with agave. 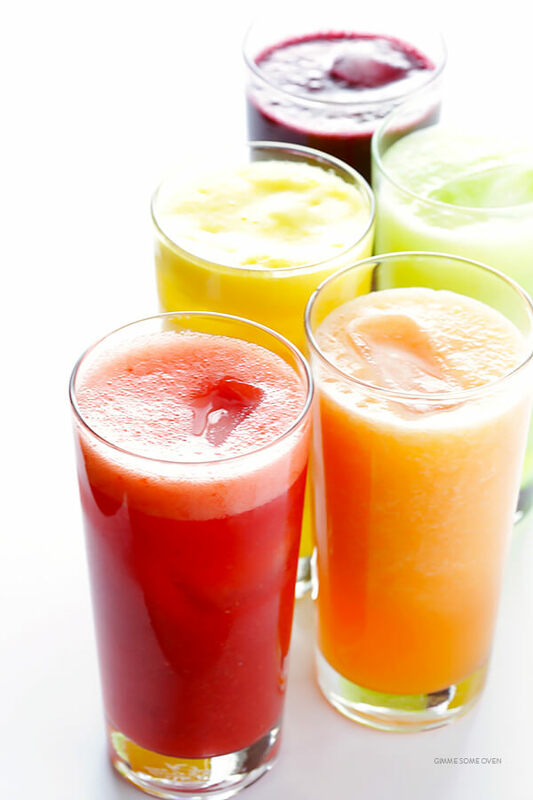 Add fruit and water and lime juice (if using) to a blender, and pulse until smooth. Taste, and add in your desired amount of agave nectar (or your desired sweetener) if needed, and pulse until combined. Serve immediately over ice. Or cover and refrigerate for up to 24 hours. 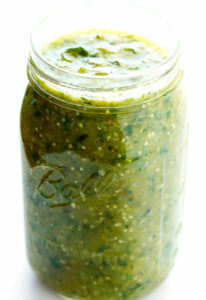 Feel free to blend in any other fresh herbs or ginger or fresh jalapeno (for some kick!) if you’d like to! This is a sponsored post in partnership with ALDI. It’s no secret that I’ve been a mega fan-girl of ALDI for years, and all opinions here are my own. Thanks for continuing to support the brands who help make this site possible! Amazingly fresh, and I couldn’t agree more: Always keep the pulp! 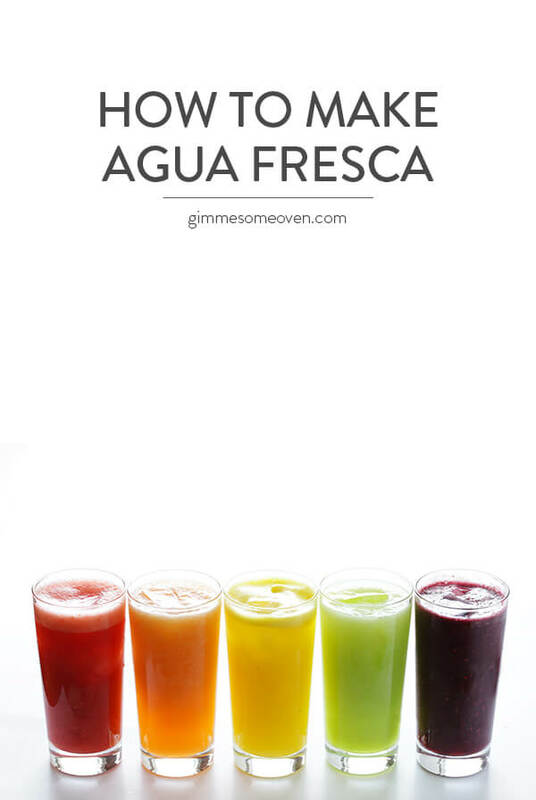 We love agua fresca in our house! My husband is from D.R. and I lived in Miami for 10 years, it’s a staple in the summer. What a great story! These would be perfect through the hot summer months. Can’t wait to try them! Wow this is so beautiful! Perfect for the holiday weekend coming up! This sounds so much better than regular fruit smoothies. I can’t wait to give it a try! My husband spent a lot of time in Spain and South America, so I’ll have to see if this is something he had while he was there. Thanks for the recipe! And I am a major Aldi’s fan too. Everything is so dang cheap and delicious! Passion Fruit was always my favorite kind. This will be cute to even make in red, white and blue for the holiday. I think I have what I’m going to cook with my niece and nephew this weekend without overheating the house. Thanks for sharing. This looks delicious! I’m sad to say that I’ve never had the homemade kind. Gee, Ali, you missed what I think has to be the best one – tamarindo. :-) I love the flavor of tamarind, and have enjoyed tamarind candy. I have actually never made tamarindo, just Jamaica (hibiscus flower). One day soon, I”ll have to try it (but I bet my husband wouldn’t like it either…) Glad you posted some general directions for making aguas frescas. Wow, these sound incredible! 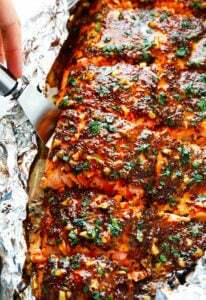 I love the idea of incorporating lime or jalepeno and will definitely be making this for the holiday weekend! The very last word in the recipe should be “to” and not “too.” But great recipe! Oops, thanks for catching that Viki — we just fixed it! I just tried agua fresca at Blaze (pizza place similar to Chipotle)! It was delish! My favorite flavor was lemon mint!! Thank you Maria! We hope you can this sometime! This looks so fantastic! Do you think frozen fruit would work? I’ve got cherries that want to be a drink! Watermelon is AMAZING!!! Super after a long run or work out. Such gorgeous pictures! Great idea to use up not so sweet fruits. Wow these photos!!! You did a great job girl!!! Thanks for your sweet words Meiko — we appreciate that! Looks tasty and refreshing. Perfect for summer mornings. My grandmother would make these for us to use up all the mangoes and plums, etc. but she would add a dash of Angostura Aromatic Bitters and Almond Essence. To Die 4, For Sure! This looks like an easy recipe to follow, definitely pretty colors. Thanks Candice — we hope you enjoy! Hi Deborah! 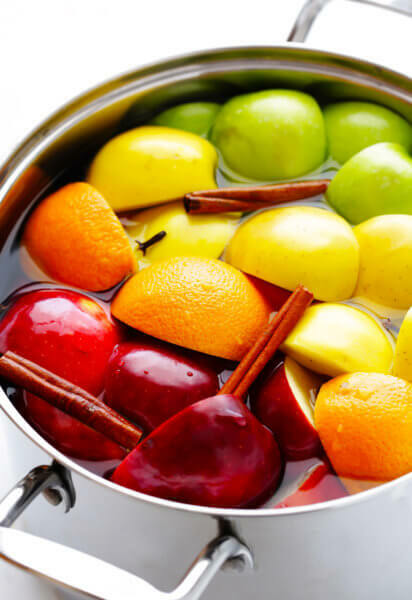 We think this definitely works best with fresh fruit. Perhaps you could use a mixture of fresh and frozen though? You’re welcome, Ellie — we hope you enjoy! Strawberry is so good! Just slurped the last sip ☺! I will try pineapple soon! Thank you! Thanks, Diane, we’re happy you liked it! Enjoyed the memory you shared. I used to be obsessed with eating guananbana and tamarindo straight out of the pod. Such great memories when living in Puerto Rico. Thank you for sharing.